In grassland near shrubs. 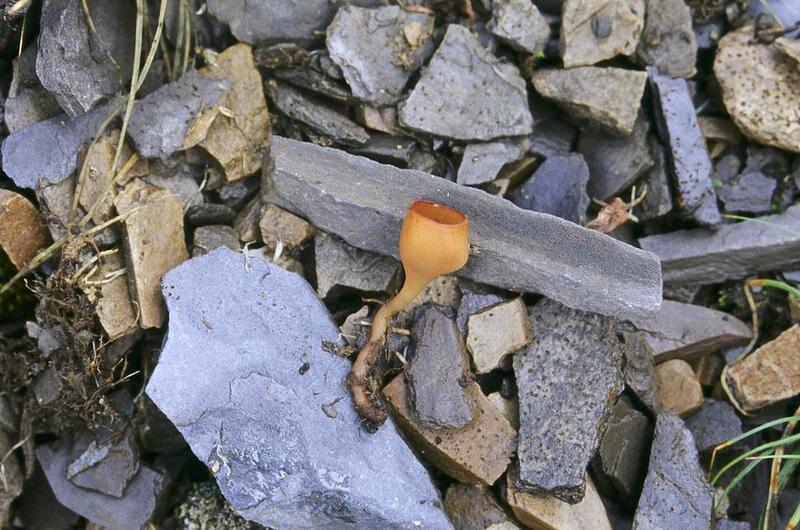 Fruit body cup shaped, reddish brown, darker of inner surface. Stipe short and thin, pinkish brown to pale reddish brown.